Affordable Glorified Basecamp -"the Bird House"
Could be a bit cleaner espicially the bathtub overall I was satisfied with our stay! The motel was clean easy to find. We have stayed here before and will again. Where to find Livingston hotels near an airport? Where can I find hotels in Livingston that are near tourist attractions? Are you after an apartment or hotel within a short driving distance of central Livingston? Within 0.1 kilometres (0.06 miles) of the downtown area, you'll find 7 Expedia-listed apartments and hotels. 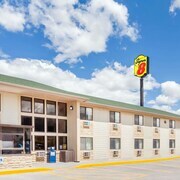 The most centrally located accommodation options of downtown Livingston are the Country Motor Inn and Murray Hotel. 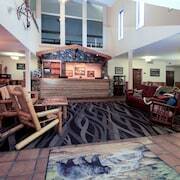 The Yellowstone Pioneer Lodge is a budget hotel. You will find it located 2 kilometres (1 mile) from the heart of Livingston. 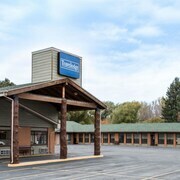 The Rodeway Inn Livingston is an alternative no-frills hotel here. 25 kilometres (16 miles) from the main part of Livingston, is the Yellowstone Valley Lodge, an Ascend Hotel Collection Member. Alternatively, the Comfort Inn Livingston can be found 2 kilometres (1 mile) away. 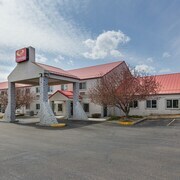 The Quality Inn Livingston and also the Super 8 Livingston are two more Expedia-listed Expedia-listed accommodations in Livingston. For visitors who would like to see more of the lakes and mountains in this section of United States of America, you should plan to spend time in other parts of Western Montana. No matter if you engage in common activities, for example snowboarding and skiing, or travel around to explore the attractions, you will be able to find suitable places to stay in the area. 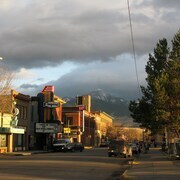 The closest places to stay in Bozeman include Belgrade and Three Forks. Belgrade is 50 kilometres (31 miles) to the west of Livingston, while Three Forks is 80 kilometres (50 miles) to the west. Belgrade accommodations include the Holiday Inn Express Hotel & Suites Belgrade and La Quinta Inn & Suites Belgrade / Bozeman Airport. 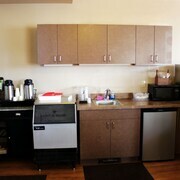 While apartments and hotels include the Sacajawea Hotel and Lewis & Clark Motel of Three Forks. If you are flying into or out of Gallatin Field Airport and are looking to stay nearby try Super 8 Belgrade / Bozeman Airport or Quality Inn. What are the most popular Livingston hotels? 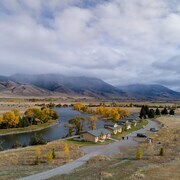 The Summit House - 4 Bedroom/ 2 Bathroom w/ View! Modern Historic Pray Homestead Ace Location! Are there hotels in other cities near Livingston? 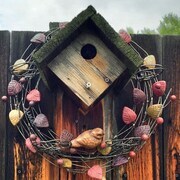 What other types of accommodations are available in Livingston? Explore Livingston with Expedia.ca’s Travel Guides to find the best flights, cars, holiday packages and more!